The digital revolution wave is at an all-time high with Internet of Things increasingly becoming an essential component of all applications leading towards innovation and growth. IOT is a concept that not only affects how we work and function, but also how we lead our lives. 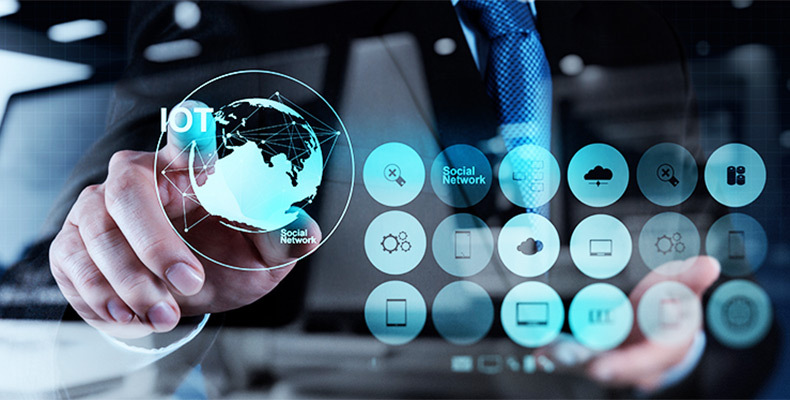 The whole aspect of threading devices and lives together with network connectivity is the first step towards making the world a digitally connected global nest. The idea of a digital global nest has co-existence between mankind and technology. IoT scales up to city wide-initiatives with smart cities, smart transport, public connectivity and many more. This sudden boom in low cost computing brings benefits such as automated homes at cost-effective prices. People can afford wireless technology to cut labor cost and time. Not just homes, large sectors such as aviation can reduce ‘in-airport’ spend time for travellers keeping track of the traveller's activity, and helping the industry to prioritise its investments. Heathrow is using advanced technology from Hitachi (heat-sensing pixel related) to measure people’s movements in the airport. Another exciting benefit is where processors are able to run indefinitely with very low power consumption. For example, piezo electric devices can produce electricity from vibrations. A key advantage of IOT is cloud. Cloud storage is a model of data storage in which the digital data is stored in logical pools, the physical storage spans multiple servers (and often locations), and the physical environment is typically owned and managed by a hosting company. The number of organisations maintaining competitive advantage through cloud implementation has grown exponentially in the last few years and by 2017, the public cloud service market is predicted to exceed $244 billion globally. According to a report by Gartner (A leading information technology research and advisory firm), cloud computing will establish a major share of IT spending by end of 2016. In India alone, it is predicted that the cloud market will reach over $3 billion, almost five-fold increase from 2012. For India it has a direct beneficial effect for SMBs- small to medium sized businesses, the frame that employs 40% of the workforce and is growing at a rate of 8% per year. India Inc has pledged R4.5 lakh crore for Digital India, which has potential to create employment for close to 16 lakh people. A major share will be in cloud computing. With the idea of launching 100 Smart Cities, 500 rejuvenated cities and numerous projects to create industrial hubs, a powerful technological support is a critical necessity to take the development process further. With the second biggest population in the world, India is scaling its opportunity at IOT with two major efforts undertaken by the Government of India, the ‘Smart Cities’ project and the ‘Digital India’ Program. The Digital India program vision is to ‘transform India into a digitally empowered society and knowledge economy’. India's leap into the IoT growth story is being accelerated with venture funding to organizations in IoT related territories like memory, processor, sensors, low power devices and solar electronics, etc. The IoT landscape in India is projected to grow at a CAGR in excess of 28% during the 2015 – 2020 period. Iot has become the wireless backbone of Indian government’s smart city, smart commuting, smart living projects and it’s predicted that life forms will revolve around availability of technologically advanced infrastructures. The size and the potential of Digital India is unparalleled to anything at this moment and Convergence India 2017 will bring the leaders, thought provokers, technology brands & firms, digital innovators and many more under one roof making it the most significant conclave in IoT India.